I first met Gareth just over a decade ago. He is tall. He is traditionally seen in black. He knows a lot about Doctor Who and the works of Tolkien. He likes toast and the earlier adventures of Lara Croft. He is, in many ways, quietly infuriating. This is because he’s nearly always right. He is one of the funniest people I know, and I am extremely fond of him. Gareth lives with his partner in a house in Cambridge, known by us as The Gallery due to its airy, open lounge / dining area, with stairs leading to a balcony that overlooks the ground floor, with doors that open onto bedrooms and (the last time I was there) a mass of computer equipment on the landing. Downstairs there is a PS3 and a mass of DVDs, along with a couple of He-Man action figures. Many have shared with Gareth over the years, including my own wife before we were married. I liken the Gallery to the House of Elrond, described in The Hobbit as “a perfect house, whether you like food or sleep, or story-telling or singing, or just sitting and thinking best, or a pleasant mixture of them all”. Gareth and I don’t see each other very much these days, so most of our correspondence is done via email, which suits fine, although I miss the back-and-forth intensity of the face-to-face chats we’d have in the period I was visiting regularly, some eight years ago now. I am considerably more tolerant of the more recent episodes of Doctor Who than he is. His outlook has nothing to do with rose-tinted spectacles or any sort of nostalgic bias but has come about simply because his standards are higher than mine. “I can’t think,” he told me recently, “of anything on TV that’s made me laugh out loud since Eddie Izzard in the 1990s”. Many people would find this sad. I don’t. 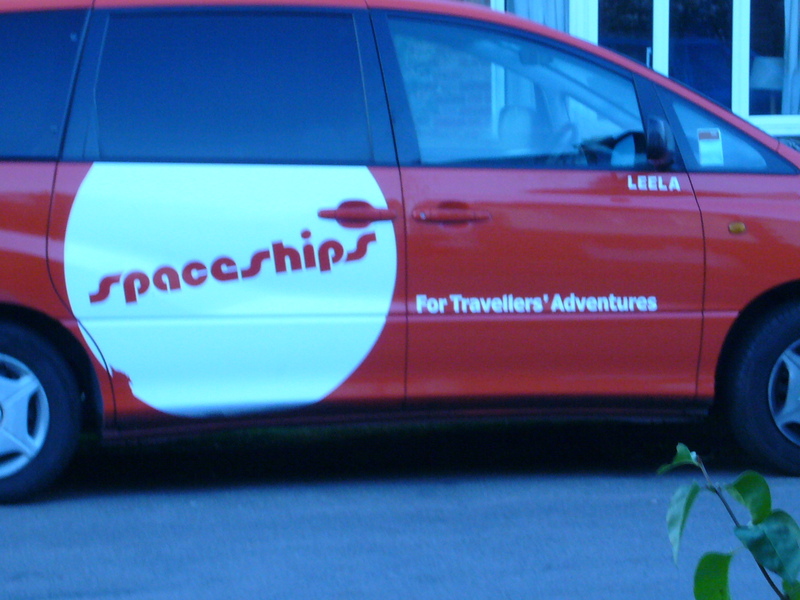 Gareth will pop in here occasionally, principally when I’m talking about New Who, but today he features because he recently observed this, parked on the road opposite.